InFocus Corp. an American smartphone maker company, is all charged up for enticing the Indian market with its latest offering- InFocus Vision 3 with a slim bezel 5.7-inch 18:9 HD+ display, a super massive 4000 mAh battery and dual rear camera setup (a 13-megapixel primary camera + a 5-megapixel camera). What’s more, all of these high-end smartphone features are being offered under the affordable price bracket of INR 6,999. 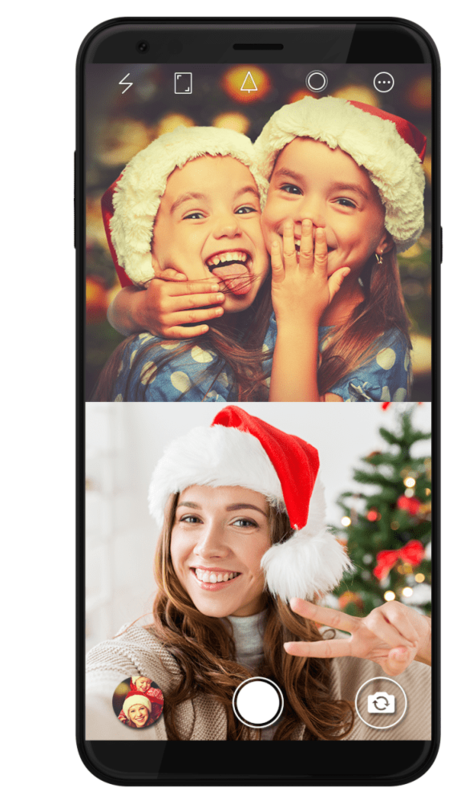 The smartphone device also sports unique ‘Dualfie’ feature which lets the users capture the front and rear images at the same time by allowing to click both ways. As far as other specifications are concerned, the dual SIM supported device features a 5.7-inch HD+ (720 x 1440 pixels) IPS ONCELL display with an 18:9 aspect ratio and 2.5D curved glass. It runs on Android 7.0 Nougat with the company's own Smile UX skin on the top. Powered by MediaTek MTK6737H quad-core processor clocked at 1.3GHz, the device comes paired with 2 GB of RAM and houses 16 GB of inbuilt storage, expandable via microSD card to up to 64 GB. The smartphone also comes with a fingerprint sensor on the rear. It is further fired up by a massive 4000 mAh battery power that provides a standby capacity of 22 days and a call capacity of 20 hours. On camera front the dual rear camera setup supports a 120-degree wide-angle lens (F2.0 large aperture) with an 8-megapixel front camera. 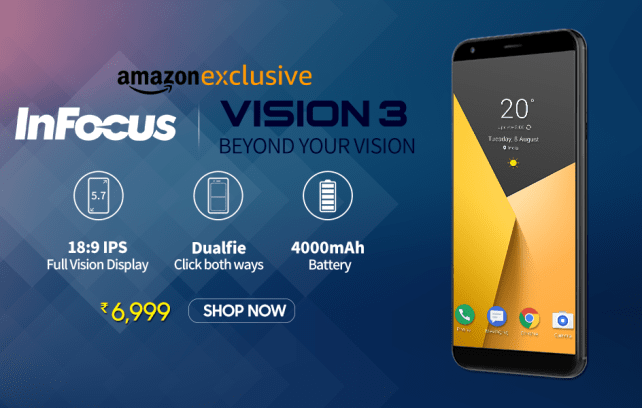 InFocus Vision 3 would retail exclusively via Amazon.in starting Wednesday, December 20. With the power packed features in an affordable price bracket the device seems to be a good bargain. Do let us know your experience if you happen to buy one in the comments below.